Indian weddings! Who hasn’t dreamt to be a guest at one of those colorful fairy tales? If you’ve ever watched at least one Bollywood movie or you have at least one Indian friend on Facebook, who is occasionally tagged in pictures full of gorgeous ladies in saris, there is no need for me to describe the expectations of this magical event. 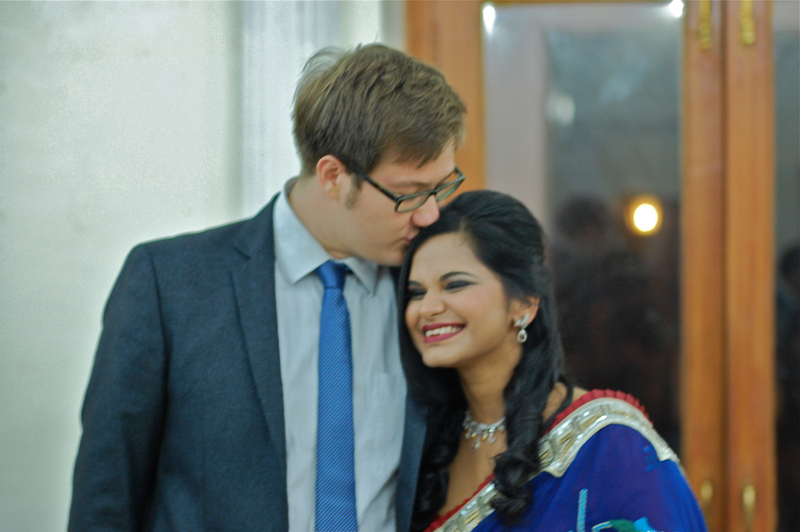 My first experience with an Indian wedding two years ago in Assam reminded me how little real life has to do with stereotypes, and more so when it comes to culture. Despite the expectations of a noisy and colorful celebration I became a part of a beautiful sacral ceremony, which was full of symbolism and emotions. That day I was ashamed of my own ignorance: the only way I could feel engaged into the process was to keep clicking a button on my camera, all night long, trying to capture the moments which, unfortunately, I had very little understanding of. When I got an invitation to Sami’s and Chris’ wedding last year, I was literally exploding with excitement. The fact that it was an international marriage in India, and that I had a strong emotional attachment to the couple, gave me pleasant chills. 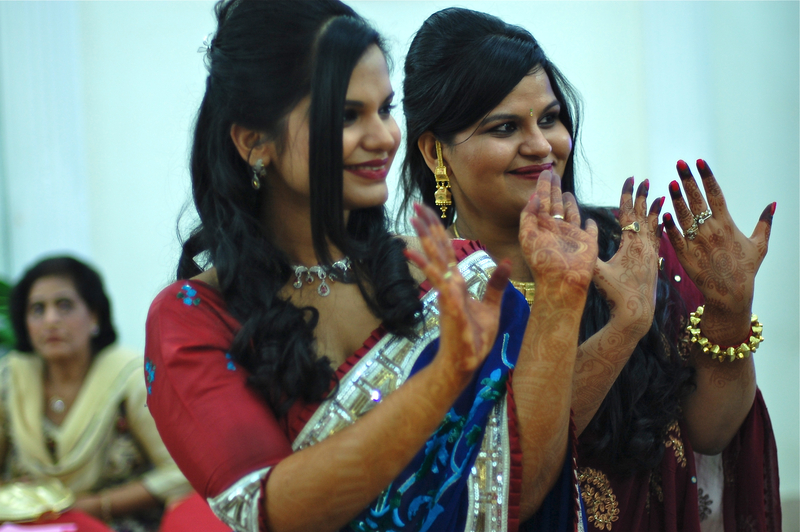 Moreover, this time I was on the bride’s side and I was generously hosted by her family, which meant that I could experience every single ritual held at home and share rare emotional moments with them. 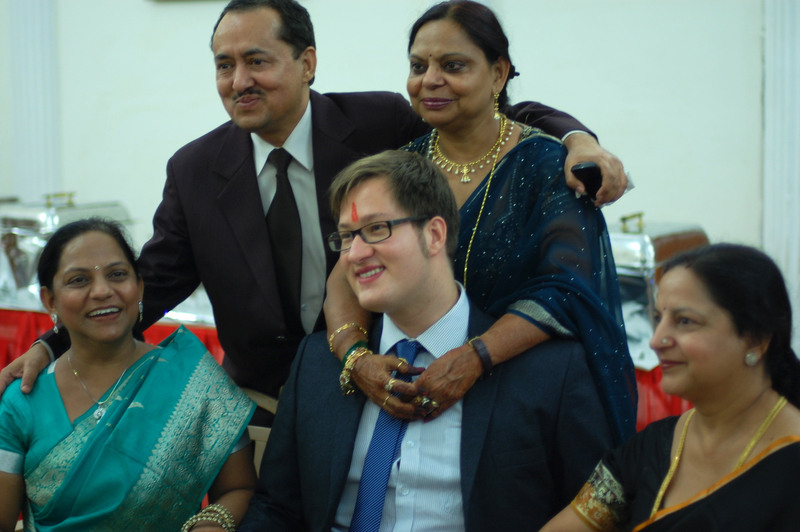 During my three days in Lucknow I felt that I finally started understanding what Indian weddings are really about. Many things amazed me, even more things deeply touched me and some gave me food for thought. I was stunned by the bride’ looks, by the beauty of surrounding her ladies and richness of the rituals. But even more than that I was impressed by the role, which was played by the closest and the dearest, and by the emotional bonding which was happening between two families. With permission of the newly weds, I would like to share with you their Big Day as seen through my own eyes and the lens of my half-broken camera. Every single day of the wedding was so full of events that there is no way I could fit this beautiful wedding story in one post –so, let’s begin with Day 1! When on the first day I dragged myself out of bed, trying to come back to senses after my Berlin-Moscow-Delhi-Lucknow flight, the house was already full and busy. The beautiful bride was surrounded by the ladies of the house and two young girls were drawing carefully exotic ornaments on her hands. The Mehndi ceremony was taking place. After the Mehndi (henna) paste was applied, it needed to dry and then be washed off. What remains is a light orange color, which can at first be barely seen on the skin. They say that the darker the color becomes, the more the bride will be loved by her husband. 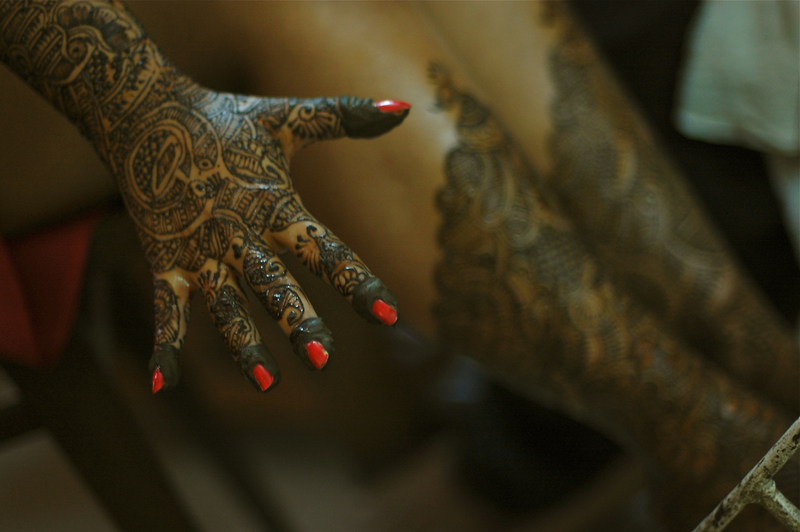 Mehndi is one of the 16 adornments of the bride, all of which can only be seen on the main day. In beautiful ornaments one could recognize exotic birds, like a peacock, flowers or even a head of a young women in the castle. However, mehndi is not just about beauty: the designs ( and the color) are considered to be auspicious, and are meant to protect the bride and symbolize strength of the future marriage. All female guests and members of the family got their hands decorated, too. Our hands were done one day before, and in 24 hours the drawings changed their color from light red to dark brown. Apparently in reality the intensiveness of the color depends on the skin and amount of oil put on it. After this part of bride’s beautification was complete, guests started arriving into the house. Those who entered the house for the first time, received blessings from the mother, which included garlands, red dots put with a red powder on a forehead and sweets. Sweets seemed to be playing a special part in the rituals, symbolizing a smooth and sweet married life for the couple, as to my understanding. In India they say that a guest should be treated like a god, and food, which was served in the house and every time took me to heavens, was no contradiction to that! Oh, paneer, oh, famous Lucknow kebab, how much I miss you! The whole event was very cosy and had a beautiful atmosphere of shared happiness. Friends were talking about their memories about the couple’s past and present, and sharing wisdom which they thought could make a future married life even happier. Naughty stories from the childhood and teenage years were expected – but seemed that both had always behaved well enough! The groom and the bride got there share of the mic too, taking guests on a philosophical journey of real values in life and addressing both families in two languages. And here is the beautiful bride’s sister – one more person who was playing a crucial and extremely engaged role in all ceremonial activities. Besides her involvement in the whole organizational part, thanks to her patience and translation the foreign part of guests (including me) could understand what was actually happening during the rituals. The highlight of the evening was the Tilak Ceremony. Traditionally, it means a formal acceptance of the groom by the bride’s family. The Groom was marked with a red powder (tilak) on his forehead and fed sweets. As a further formal sign of acceptance, symbolic presents were gifted to the new son in law. The whole procedure was full of elegant attributes. I find a special beauty in details, be it a shiny tray, a bangle or a flower in the hair. I believe that details are responsible for the atmosphere, and this time they were perfected. However, it was not just the groom who was marked by tilak and fed sweetness from the spoon. All his family members and close friends were received in a similar way. And as to an Indian tradition a guest can’t leave without a present, all ladies (including myself) got beautiful saris to wear on the main day. After the rituals were performed, no doubt about the full acceptance of the groom by the family was left! 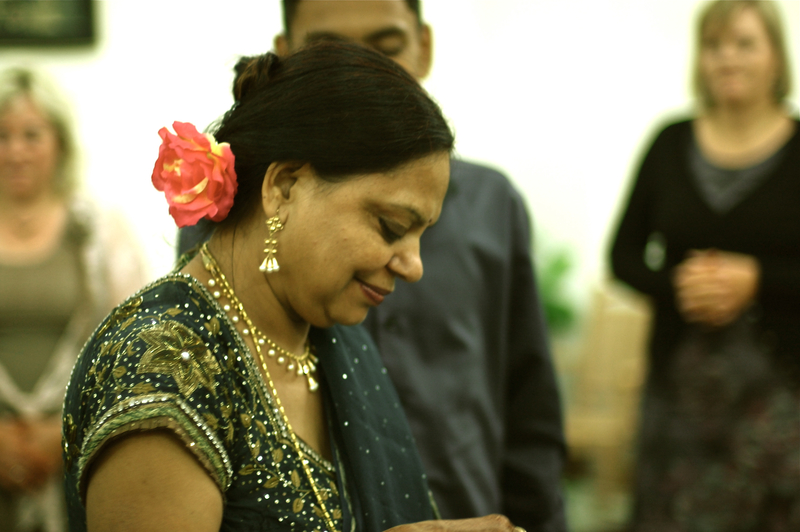 And the very last piece of the post I spared for the one of the most important person in our lives – the mother. It is never easy to see a child leaving the house, and more so if it is a daughter, even if formally it had happened years ago. But the happiness that this lady was sharing for her daughter was inspiring: I felt that for her it was not a question if there was enough space for the son in law in her heart, as the right people just make our hearts bigger with their arrival in our lives and lives of our loved ones.